The long Oshibori guest amenity tradition began in the FAR EAST with HOT TOWELS. They are given to guests for a warm welcome while offering them the possibility to wash their hands before the meal. Incidentally, bathing towels in combination with hot water are also used in traditional Oriental Hamams and in Luxury Spas as part of the bathing and body treatment. In the year 2005 the German inventor of the popular Coolike refreshing towels picked up on this idea and designed the first superior Coolike Oshibori Wellness terry towel in single sachets. A well-thought packaging with enough room for the large-sized terry towel, equipped with a zip-fastener to ensure re-usability. 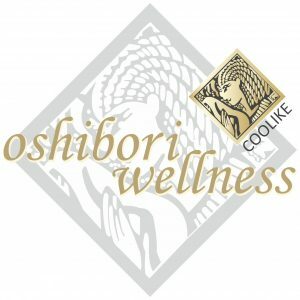 Coolike Oshibori Wellness Towels serve as special gift connectable with a personal message and can make your service even more valuable and memorable. 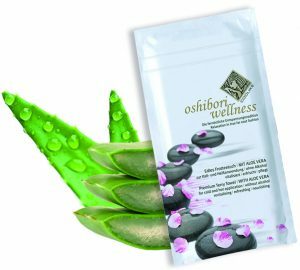 The nicely pre-moistened Oshibori cotton terry towel WITH VALUABLE ALOE VERA is usable everywhere and anytime to relax and refresh. Once opened, the product catches your senses. 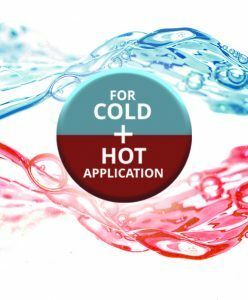 The feeling on the skin is sensational, whether applied warm or cold. The decent light fragrance is inspiring for her and him. 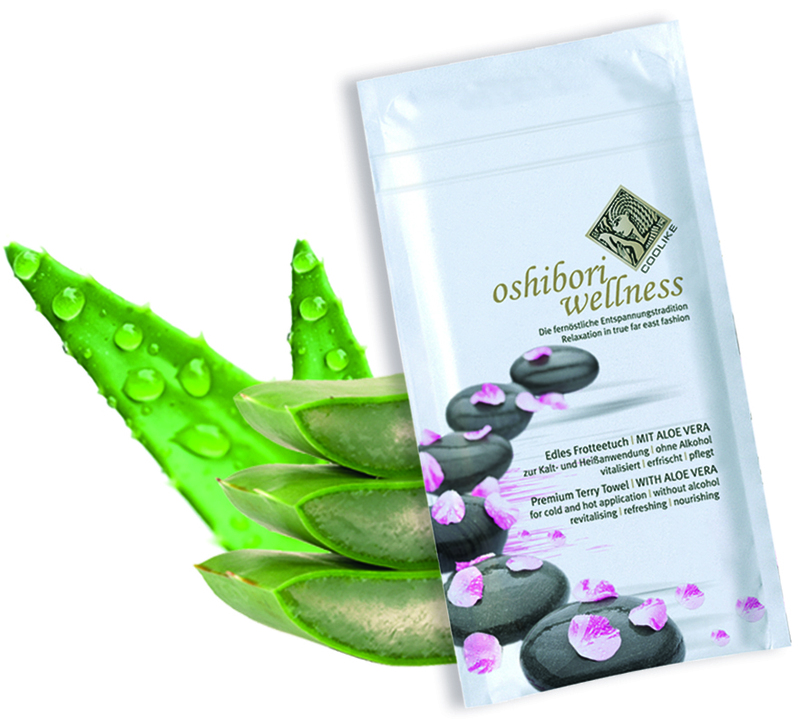 This special Oshibori Wellness towel version contains an ELEGANT MEN’S PERFUME. It is saturated with lots of refreshing liquid. 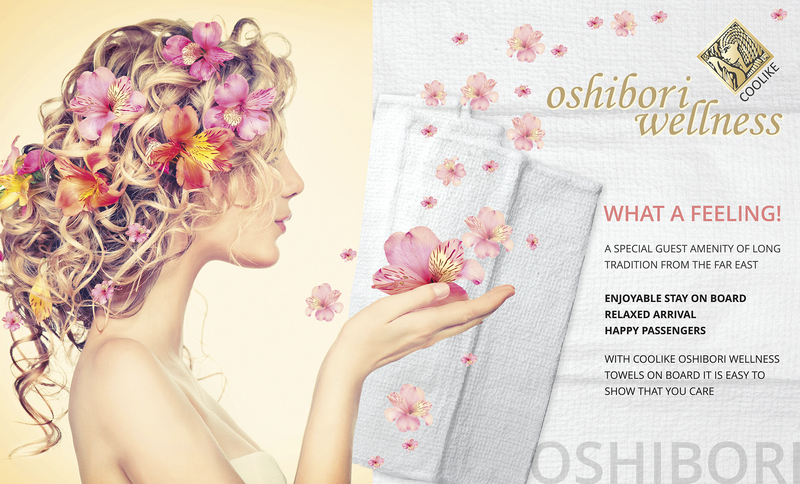 The application of this special Oshibori towel brings a new lease of freshness to body and mind. This masculine version is popular especially on business and corporate flights. Ladies love it as well! 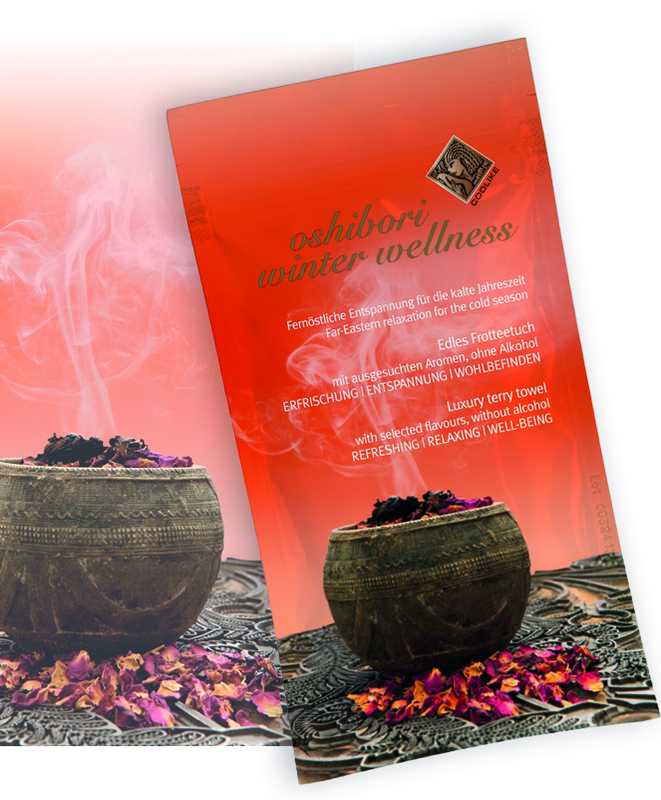 A special aromatic Oshibori Wellness towel with selected winter flavors. 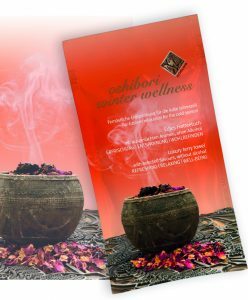 The application takes you away to a natural and warm winter feeling. Enjoy the incomparable sense of well-being. 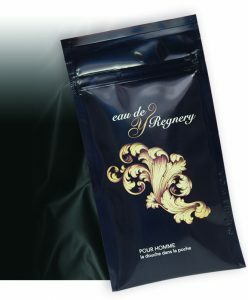 YOU HAVE THE CHOICE OF MANY OTHER SELECTED SCENTS – PLEASE ASK US FOR A PROPOSAL. A few seconds in the microwave at 500 watts are sufficient. 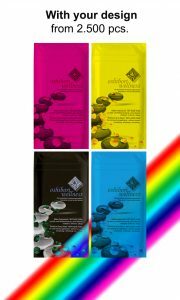 Remove the towel from the package and place it on your arms or shoulder/neck area – the wonderful moist warmth reaches the muscles providing pure relaxation and well-being. WHAT A FEELING! 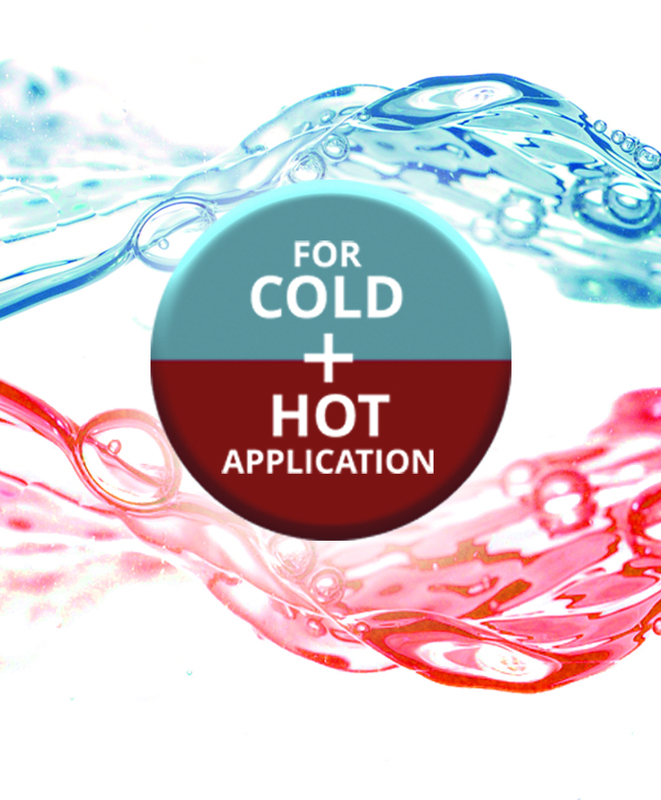 Store it at room temperature or in the refrigerator – the effect is impressing. 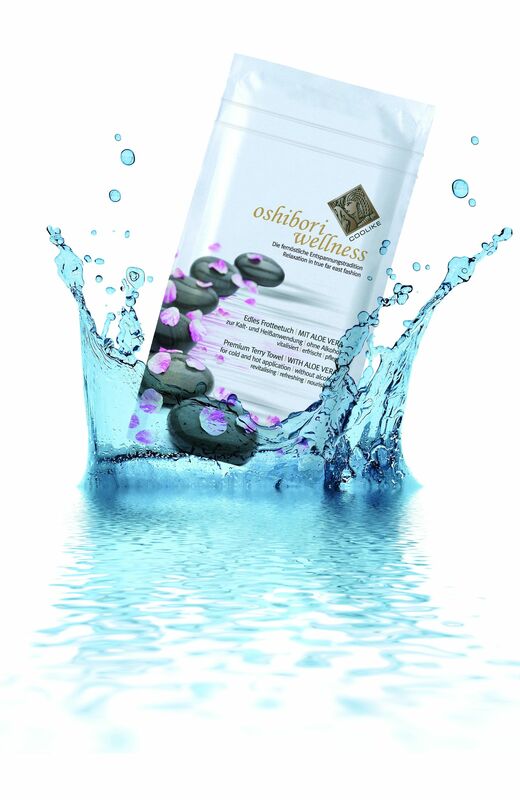 The sheer freshness cools down skin and muscles with an extremely invigorating effect. SIMPLY GENIAL! 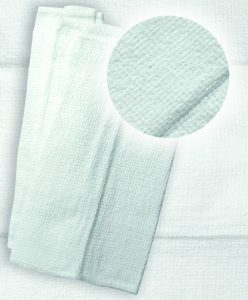 The large-sized terry towel material is made from NATURAL COTTON which is BIODEGRADABLE. 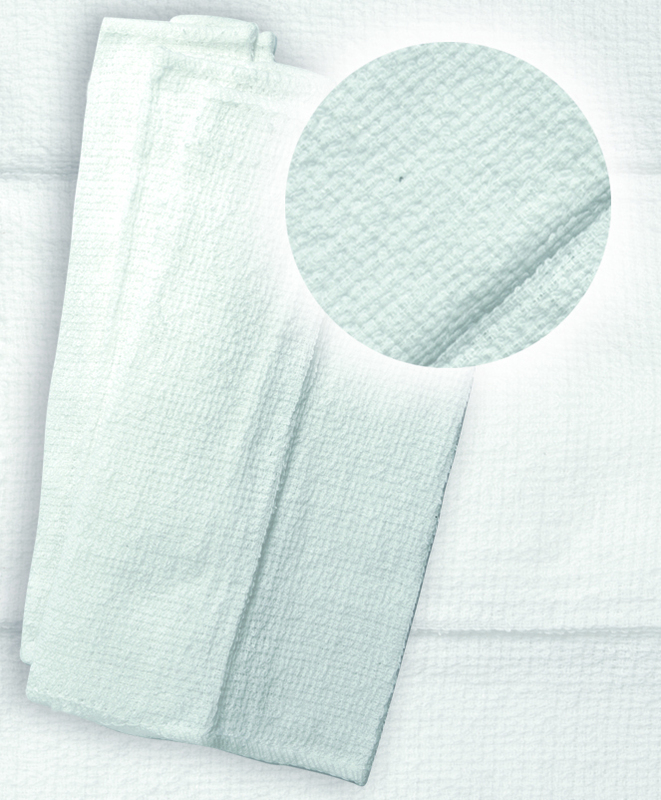 Known for its softness and fluffiness, the fabric is immensely absorbent. The soft surface is extremely pleasant on the skin. The cosmetic formulations used in Coolike Oshibori Wellness towels are developed in Germany strictly according to the EU cosmetic regulation. 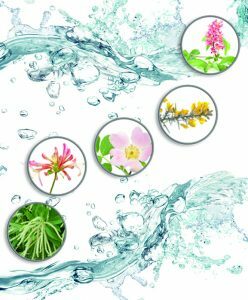 They contain no alcohol – thus they are especially skin-friendly. The production is subject to continuous quality controls, each finished edition is microbiologically checked in our external laboratory before delivery. This gives you the reassuring certainty about the perfect product quality you are offering to your guests. The unique packaging of Coolike Oshibori is as chic as it is practical, it has a zip-fastener for re-usability and it is RECYCLABLE. 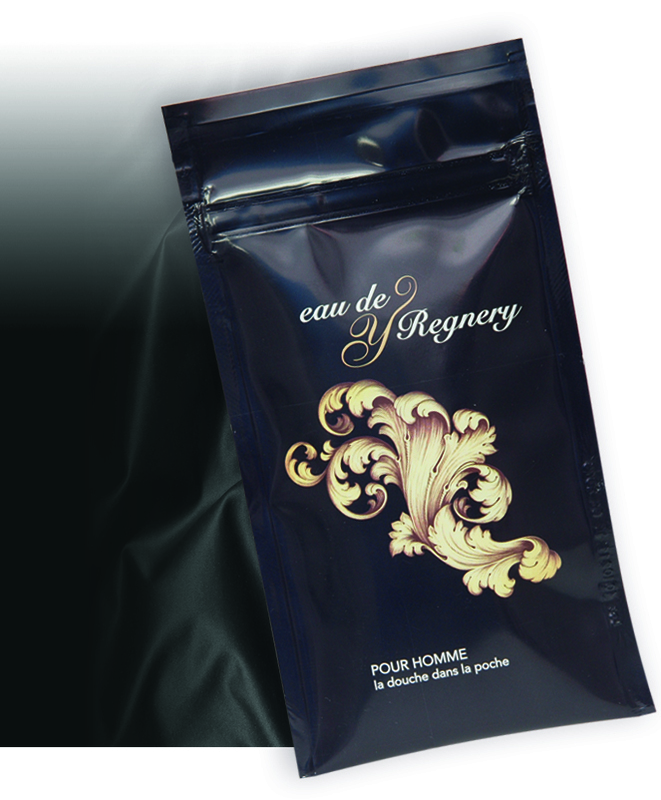 TO MAKE THIS SERVICE PRODUCT EVEN MORE SPECIAL, BOTH SACHET SIDES CAN BE INDIVIDUALIZED WITH YOUR PERSONAL MESSAGE AND LOGO. The special packaging protects the Oshibori towel from impurities and other external influences and keeps it fresh for minimum 24 months. With the first opening you can be sure nobody else has touched it before. 16 rolled terry towels incl. 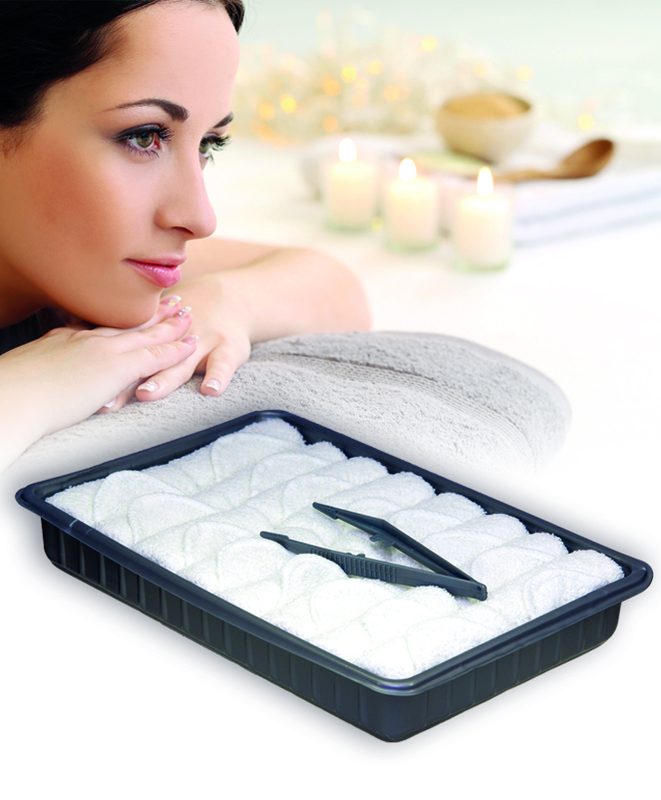 pincer, neatly packed on a nice tray. Each tray is hygienically shrinked. Including product and application description in German and English. Available lightly scented or naturally unscented. Ideal for your classic personal catering service on board. Coolike-Regnery GmbH was founded more than 35 years ago and is based in Germany. Coolike company group has an implemented quality management system and manufactures over 100 million towels per year. The formulations are developed in conformity with EU-regulations. No matter if original or customized Coolike products are chosen – the users benefit from safe, ready-to-use, proven quality made in Germany. Visit the main Coolike profile in Airline Suppliers.